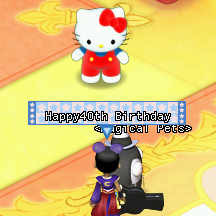 The last time I was able to log on to Hello Kitty On line was August 2017. 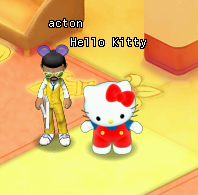 All attempts to contact Sanrio Digital to get a status on Hello Kitty Online remains unanswered; therefore, I must conclude the rumors are true that Hello Kitty Online has ended and the servers taken down. My own adventure started with the Beta on 2008 and the Founders Beta. While Sanrio aimed the game at young female demographic, I could not help noticing the positive reviews and interest from male gamers. The game had potential to be a hit. 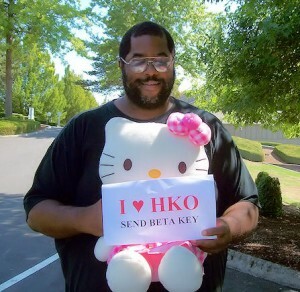 I believe Sanrio mismanaged the distribution and promotion of Hello Kitty Online and squandered an opportunity. It was very quiet on HKO today, no balloons or special events. 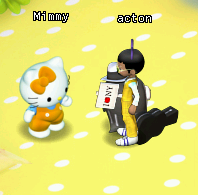 Still I long on and spent some time with Kitty and Mimmy White. 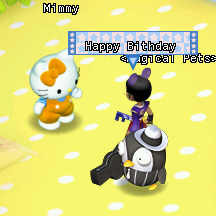 In addition this was a few day after the official release of the North American servers in 2009. 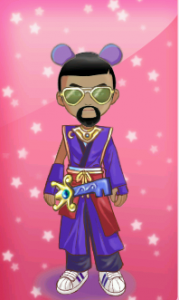 I also want to leave a shout out to former Sailor Scouts guild members.